Purchased in 1963. With an appearance and appointments that the moniker "Captain Video" aptly described, as named by Julia, who also gave it a home when she moved to Rochester. 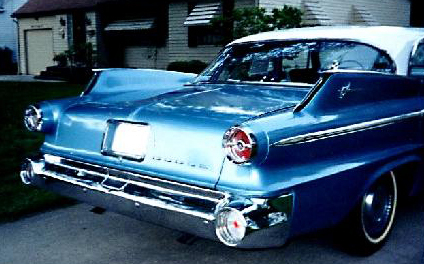 [ I (Llewellyn) remember how Julia disparaged its fins, which she said were merely tacked on, as opposed to those of our '56 Plymouth which she felt were an organic part of its design and style (my paraphrasing). While I definitely understand her point, I have to say there are some views from certain rear angles where the Polara SCREAMS Forward Look! 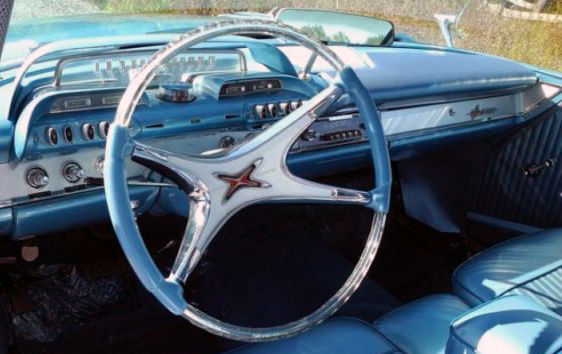 I got a huge kick out of its elliptical steering wheel whose flattened top and bottom sections of clear plastic contained suspended metalflake sparkles. The dash was transplanted from a spaceship cockpit, sporting a translucent speedometer and horizontal orbital clock with a tiny day-glo orange revolving satellite second hand (usually frozen in time). The five elliptical transmission pushbuttons balanced the five of the heater/defroster. Everything was swoopy. The steering wheel spokes swooped, the turn signal indicators were elongated, the instrument glare shades were flattened parabolas. 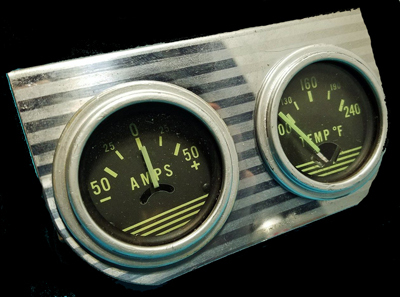 Dad, never one for "idiot lights", was moved to augment the info-bereft Dodge with several bolt-on chrome-plated gauges from J.C. Whitney (rather disturbing the cosmic dashboard's feng shui IMHO). There was an oil pressure gauge and an ammeter/water temperature pair whose temp sensor, mounted in a hole punched through the side of the upper radiator hose, caused the latter to rupture and the car to dramatically overheat on one of our family trips. Dad pulled the rig over to the shoulder and called out, "Tea time!" (Who really needs a temperature gauge when the steam spewing from around the hood tells you all you need to know?) As we seemed to often be pulling travel trailers up mountains on summer vacations in those days, engine overheating versus an onslaught of various third-party cooling aid contraptions, were an unending battle. I sometimes sat in the driver's seat, feeling a powerful teenage desire to legally grab the Lucite metalflake steering wheel and lay rubber. . . but instead headed off to boarding school just when reaching driving age. 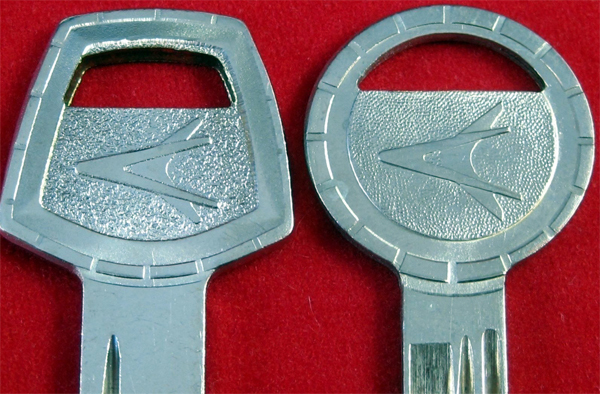 The license obtained over the summer didn't really consummate my relationship with the Polara. That happened in 1967. I was taking finals and graduating high school in Lenox, Massachusetts during the same week Julia chose to get married back at home in Geneva, New York, 232 miles apart. It was decided that I'd take finals at school, hop a Peter Pan/Greyhound/Onondaga Coach combo home, attend said wedding, then — and here's the good part — drive Captain Video back to Lenox overnight to make my commencement ceremony the next day. 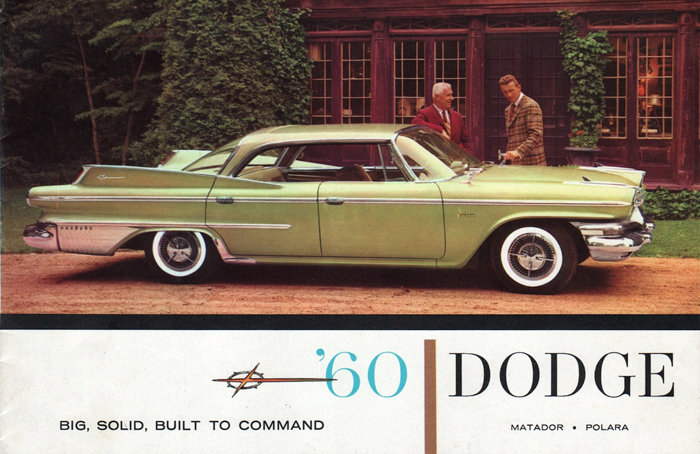 Dad handed me the keys to the Polara and the Menschification Ceremony could not have been more overt or solemn. I headed off into the night on my first solo road trip, cruising the well-worn stretch of the NYS Thruway from Geneva to the Berkshire Extension and Mass Pike. Somewhere along the Mohawk valley, I began, much to my alarm, to fall asleep, periodically jerking awake, wondering how far out of the lane I'd drifted. In some distress, I was finally relieved to survive until, and thence pull off into, a service area served by a Savarin. There, sitting on a stool at the formica counter, I took my first cup of coffee-as-drug, hoping it would keep me awake and not driving off the road. The chipped china cup and saucer felt worn and heavy in my hand. The counter lady placed face-down a little slip of paper from her carbon copy pad listing a charge of 25 cents. I remembered how Dad always tipped 10%, but, feeling magnanimous, I put down a whole dime.